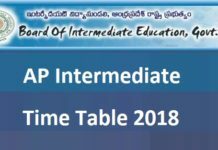 AP EAMCET 2016 BiPC 2nd Counselling Dates : Andhra Pradesh State Council of Higher Education has recently completed 1st counselling process of the medical stream which was held from 18th June to 19th June 2016 now the organisation has released the notification for the certificate verification dates and web option dates for the second counselling. The candidates who are looking for admission in Pharma D, B. Pharmacy and Bio-Technology Course can appear for the web options and certificate verification process. The students can get all the details regarding AP Eamcet 2016 Web Options Procedure in the official website or can refer to links given in the below sections. All the students need to check their results by logging into the APSCHE website and download rank card. The students who qualified in the EAMCET 2016 Medical exam have to produce their qualified marks sheet and rank card at the time of AP EAMCET Bi.P.C web counselling 2016 and certificate verification. The AP EAMCET 2016 BiPC certificate verification is going to commence from 24th September 2016, so the qualified students are hereby requested to collect all the necessary documents which are mentioned in the official website and carry them at the time of web counselling and certificate verification. 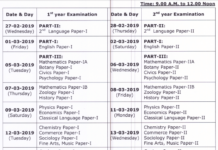 The AP EAMCET 2016 BiPC counselling dates schedule has been released by JNTU Kakinada. The counselling procedure is going to be completed online solely i.e internet counselling. The qualified students have to attend the counselling centres for certificates verification and complete the process as per the guidelines instructed and select their options through internet choices. The complete details regarding AP Eamcet 2016 Bi.P.C web counselling Procedure schedule, Tuition fee, Seat allotment order, web options can be obtained from the official website. Web Options Entry Date : 24th September 2016. AP EAMCET 2016 Medical 2nd Counselling Starting Date : 28th September 2016. Last Date For AP EAMCET 2016 BiPC MBBS BDS 2nd Counselling : 29th September 2016. Income Certificate for students whose income is up to 1 lakh/2 lakh or more than 2 lakhs.